Let me save you some time and trouble if you are considering specifying lime putty (ASTM C1489-01) for your next historic masonry restoration project. Forget about the standard way of mixing mortar with a gas-powered paddle mixer or drum type machine used in new masonry construction. These machines require the mortar ingredients to have a high rate of flow by adding enough water into the mixer to keep everything moving and mixing thoroughly. Not so with lime putty. This material is generally 50 percent water and 50 percent solid (looks like thick cream cheese) and requires a mixer that provides pressure or a kneading action to evenly incorporate the sand particles into the material. Mixing lime putty and sand together works well when mixed by hand with a mortar hoe and shovel as you can place pressure into the mix by pressing down during the process. Ramming rods made from wood with handles also work well to beat the mortar into submission forcing the sand particles into the lime putty. What is interesting about mixing lime putty mortar, if you have never had the pleasure to do so, is that it requires no additional water once properly mixed. There is enough water in the lime putty to create a good workable mixture that can be used for repointing. For years we have used a vertical shaft mixer that whips the material into form from the outside-in once all the ingredients are in the shaft mixer. 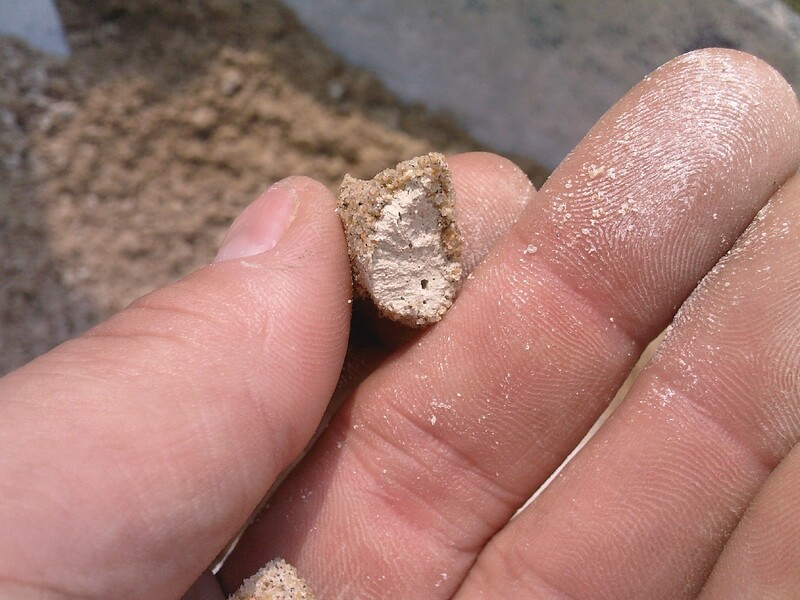 So whatever you decide to do on that next historic masonry restoration project, if it involves lime putty, be ready for some good-old-fashion hand mixing or get ready for some buckshot of lime putty balls coated with sand!